Mr. Ray is the principal of the Ray Legal Consulting Group, P.C.. He is an experienced Harvard Law School and Harvard Law Review graduate with over 17 years of complex class action litigation and appellate experience, with special expertise in securities and corporate fraud, First Amendment and intellectual property/media litigation, and substantial practice in mediation and alternative dispute resolution. 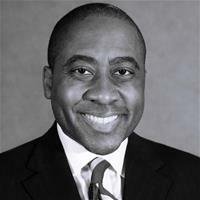 He served as a law clerk in the United States Court of Appeals for the Seventh Circuit, and worked extensively in large national law firm environments for over 9 years. "John is extremely helpful with all matters that come our way. John is extremely knowledgeable and professional. Will definitely work with John again!" "Let it be known that John Ray gets the job done!"